Would you share with us why a 32% reduction was chosen as opposed to something like 20%? Is there any math behind it? Now there is a good comment, not that i disagree with many others. 32% holy frack, excuse me but why didn't you start out lower, instead of nerfing increasing , this was to be expected but that much indeed give us a math why 32% ? Anyway this makes me a sad panda. Simple: The Roq should be the command ship of a mining fleet so it has to have a huge bonus but it shouldn't replace the other ships. The actual mining should be done in Hulk or skiffs with the support of the Roq to boost them. Pure Roq fleet in save Sov haven't been the basic idea for the Roq changes. For once in a very long while, sov null was actually beginning to offer line members a local income source that was competitive. Well that's over now. I don't get this at all - on one hand you want sov null to be fertile grounds for player made content, and on the other hand you continually salt the earth by making sure the line member income is totally in the gutter, and not even competitive with high sec. Space that has to be fought for, guarded. cultivated, and endeared to members ought to actually reward them. This is a huge regression back to space being worthless. Eve is appealing because it is unapologetic by nature. This just seems like a huge abandonment of embracing a good risk/reward paradigm, probably because it was damaging the all important viability of Hi Sec mining. EvE should be a winner take all game, eve has appeal because it doesn't offer runner-up prizes to everyone, success is savored because it is rare, where nerfing nullsec via these sorts of changes just threatens to further exacerbate an already over-level playing field. When everything is over-safe, over-homogenized, and over-friendly, EvE will be gone. Vote Vic Jefferson for CSM X.....XI.....XII? Except you're completely wrong... CCP continuously stated that the Rorqual would be the best mining ship in the game. So why the **** would anyone want to use a hulk or a skiff over a rorqual... do you like to handicap yourself? The mining yield nerf should be moved to the Industrial Core module, not on the Excavator drones themselves, so mining with the Rorqual not stuck motionless because circumstances dictate won't be a total waste. Blimey, look at all these angry Goons. A sure sign that the proposed changes must be good for the game. Nice to see CCP breaking there word AGAIN. Whatever happened to soft tweaks of in-game features. 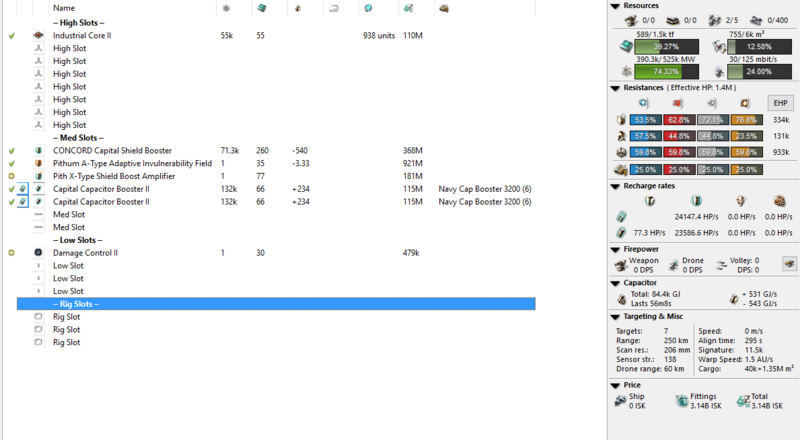 30% is not even close to a soft Tweak its a sledgehammer that again demotes the rorqual into a quirk item. Except for leaving it as a very capable capital tackler strange that PL use that feature and that doesn't get altered at all. Maybe CCP should stop pretending to be unbiased and just change there name to CCPL Online. So many people failing at economics in this thread. Please try to understand that Ore & Mineral prices are not static, and look at what's already happening to the market on those since the announced changes to the drone mining for the Rorqual. A 32% yield reduction is definitely not the same as a 32% income reduction. "I'm one of the most prolific abusers of this mechanic, so let me tell you why it's not abuse"
It's certainly a more informed vantage point than 99% of GSF who are just parroting the company line. In the mean time, keep jumping your ratting-fit supers into PVP situations whose only hope is to kill the thing tackling it if things go south. Damn, if I can't be more obvious about what the counter is, I'm not sure even CCP can help you. The real irony is that the NPCs you live among have it down better than you. Silly me, thinking you should be able to kill a tackling ship. But, hey, I'm sure that four heavy scram, three staggered heavy cap booster rorquals with nos are very neutable, ahyuck. You seem awfully focused on the fit of the wyvern. Why is that? This is 2016; supercarriers are for ratting. This post was crafted by the wormhole expert of the Goonswarm Economic Warfare Cabal, the foremost authority on Eve: Online economics and gameplay. Okay. I'm fine with this, CCP. IF you return my skill points for absolutely obliterating my investment with this pants on head up-date. CCP also stated max yield would be 20,000 per min. at present its 30,000 m3 per min. which is suprisingly 50% more than what they aimed for. Lol, you thought the mining yield is what needed to be nerfed the most? Ya, I would agree the tank on the rorqual is a smidge too much, nerf bat incoming soon I'd guess. Hey everyone. We've been keeping a close eye on how people are using the newly rebalanced Rorquals and it's been really exciting watching how well people have taken to the new gameplay. We have decided that we need to make a tweak in our December release next Tuesday to adjust the balance of mining Rorquals and keep the mining economy in a healthy place. 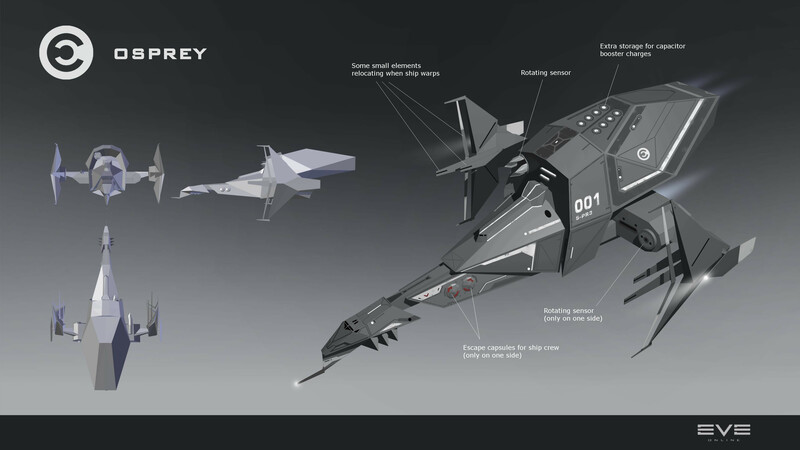 We are continuing to keep an eye on all aspects of gameplay around the mining foreman ships. I know some players are hoping that we would make adjustments to other areas of Rorqual gameplay (such as ewar use while the PANIC module is running) but we feel comfortable leaving those aspects alone for now and continuing to observe how the metagame evolves. We of course reserve the right to make more changes to this or any other aspects of the Rorqual in upcoming patches to keep the ecosystem in balance. So, some folks in here have claimed that CCP actually intended to release the Rorqual with a max possible yield of 18,000, but actually released with 29,000. Now they are just bringing it back to what was intended. Is this true? If so, why didn't you just say that up front? Have to swallow their pride and admit they somehow forgot rig existed to come up front with that while just saying it's a nerf don't require to admit something was goofed up. Next nerf will be the panic module, because it is a industrial ship now being used in pvp. Time will tell if it was worth to train and invest in those drones, i expect this will be the first nerf or many others to follow. I bought skill extractors to get where I am. A lot of them. I didn't buy a Rorqual or the drones yet, so no - I can't mine back my investment. And I certainly won't make that extra investment now. Anyone who mined with a well-skilled rorq these past weeks knows it was broken. It mined too much. Everyone was jumping on the bandwagon, injecting mass amounts of sp to get in on the crazy amounts of ore the rorq was able to pull in. If you injected sp to jump on the bandwagon you have only yourself to blame. I've always loved the rorq and been a rorq pilot for a long time, but in its current form it's a bit broken. Let's be honest, 400-450 mill per hour mining is a bit much. Now it'll only be around 250-300. It's not like its useless. With the panic module and ability mine a lot, and boost its fleet, seems to me only the fairweather rorqs will leave. I think many of the complaints are from those who hope to keep crazy OP rorq the way it is out of greed. And those that injected SP who are sad the isk train is slowing down. Also, reducing the cost of the excavator drones is a help to the rorq, since those are vulnerable outside of panic. Hopefully you position your rorq (and reposition as needed) on top of the rocks to shorten their travel time and make it quicker to scoop them. tl;dr if you're :mad: about the reduction in rorq mining effectiveness you're probably either greedy or misinformed. Feel the pain of all those pilots who trained for tracking titans. Then take a deep breath and get over it. Or rage quit, I dont care. CCP poor business decision #infinity, don't release stuff that is broken just to "see how it goes" it's terrible for the game. People get invested and then you rip out the rug from under their feet. It hurts player retention and it's a bad business decision CCP make multiple times a year. Whether these modes are running or not, the ability to field 5 GÇÿExcavatorGÇÖ Mining Superdrones will make the Rorqual the greatest mining vessel in the history of New Eden. Whether these modes are running or not, the ability to field 5 GÇÿExcavatorGÇÖ Mining mediocre-drones will make the Rorqual a crazy high risk mining vessel that can mine only slightly better then you could before with a hulk and a few cans. It will be the fastest fire sale of any ship ever in the history of New Eden. There we go. That'll help clarify things on the Rorq. But, hey, I'm sure that five heavy scram, two staggered heavy cap booster rorquals with nos are very neutable, ahyuck. Indeed, they are. I wish I had been frap'ing my screen during that drop, because you would be able to see that running 5 HWDs and 3 links, having to spank the capital MWD to stop from getting flung out by dreads spawning and insta-sieging inside me, that capacitor management was absolutely key and a struggle to maintain. At several points I had to stop running all my HWDs and run only a few in order to maintain just a sliver of cap to keep the links on. Only a scant few heavy neuts would have caused me real problems in terms of keeping adequate tackle... certainly enough for a super or titan to escape. But no, those heavy neuts didn't happen - because according to you guys the high slots on a super are home to only 3 modules and never any others. I'm both surprised and not surprised that I'm having to explain this - but much like the GSF member near the end of Jay's video who said "lol we rekt them", there seems to be a distinct lack of clue as to what's really going on. Then don't cry when they start hitting the floor in non-ratting situations? The other supers which died were marginally better fitted for suddenly PVP, however judging from the contents of their cargo and fleet hangars, one sees that The Goon is still very much behind the curve on using them usefully in combat overall. Much like the debate within GSF to stay shield or go armor, some myopic decisions have been made to ensure that their super pilots are survivable or, at least, ready to be so. "you see, my cap management was difficult because i fit my invincible rorqual poorly, this means it's well balanced!" No, no it's really not that much ISK considering the build up, maintenance, and risks. CCP has a decade+ of player behavior patterns. Time and time again we have seen that the vast majority of people will hedge their betting down to almost nothing and take the secure income every time. They need to change this, and some avenues suggest some in CCP get it - coercing players into taking risks, thus enriching New Eden, requires that these risks be worth taking. Seems like you shouldn't have been running the links, then, and fit for more cap, while bringing the links on dedicated (or at least less cap hungry) auxiliary rorquals. None of this changes the fact that jump hictors are overpowered and need to be nerfed. I'll "cry" less about losing supers when you and yours stop crying about losing your overpowered toys.